Looking on the bright side, it seems that spring is finally here – kinda, sorta. And I am somewhat grateful that the giant dead birch tree that came down during the winter crushed the shed roof and not the cottage roof. Plus, I am almost confident that summer might eventually come. Possibly, maybe. The goose left – probably heading for Florida. Smart goose. Those of us without wings – or sufficient air miles – will just have to wait and hope. But that doesn’t mean we can’t pretend. So today I am pretending to be in Jackson, Mississippi, where it is going to reach 75 degrees (24 C) today and where local restaurants have been serving “comeback sauce” since the 1930s. A cousin to Louisiana’s more famous remoulade, this sauce got its name because – you guessed it – customers come back for it. Comeback sauce is ideal for summer because it is so versatile. 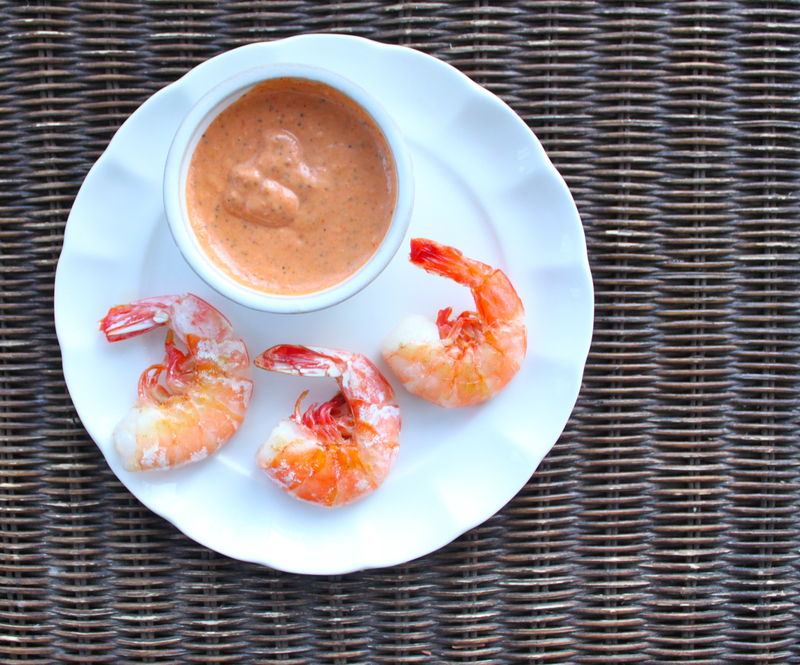 Use it as a dip for grilled shrimp (hot or cold), slather it on burgers, or eat it with saltines the way they do in Jackson. It turns an iceberg wedge into an instant salad. Great for lazy lakeside cooks like me who would rather be on the dock than in the kitchen. There are many versions of comeback sauce. The recipe below is adapted from one in the New York Times (not very Southern, I know) and has celery seed, which adds a bright, slightly grassy flavour. But play around with the ingredients until you get the flavour you like best. It will keep in the fridge for about two weeks, but it won’t last that long. Grind the celery seeds with a mortar and pestle or in an electric coffee grinder. Then combine all ingredients in a food processor and mix until smooth, adding a splash of water if the sauce is too thick. Refrigerate for several hours or overnight to meld flavours. Enjoy! This sauce sounds really good!